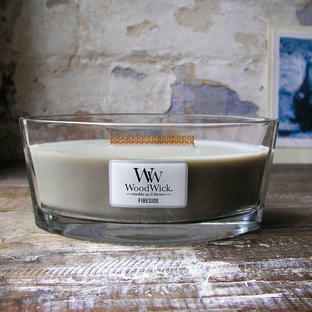 The glass was very weak and broke in transit. Gorgeous fragrance with a crackle. 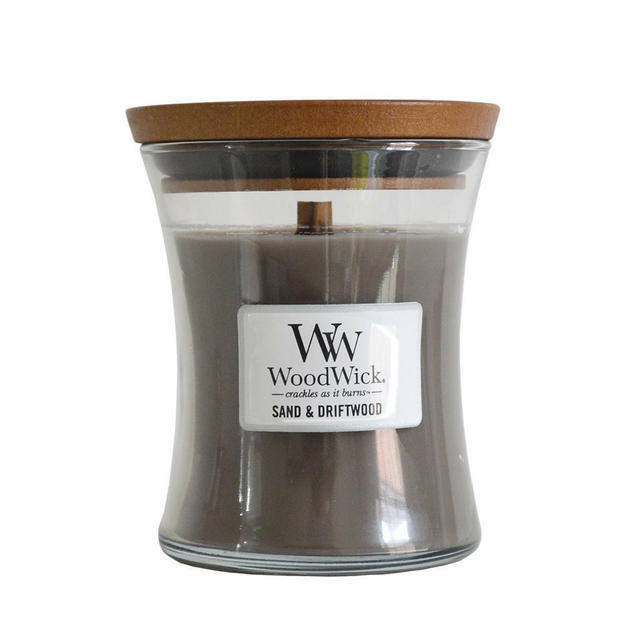 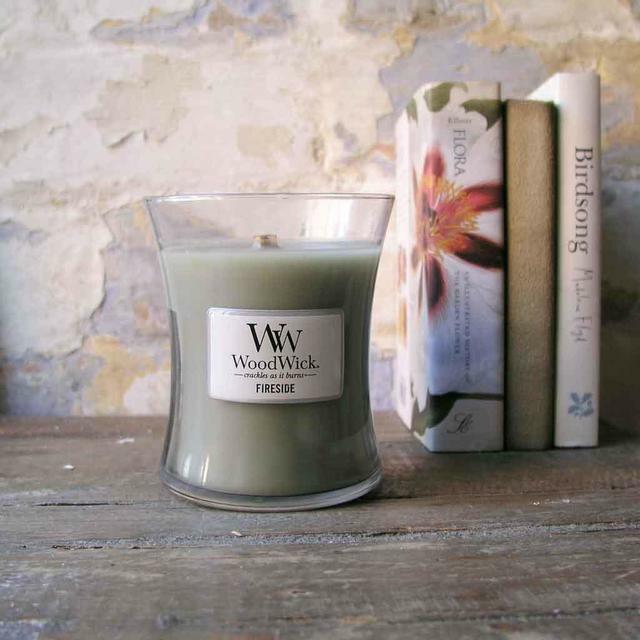 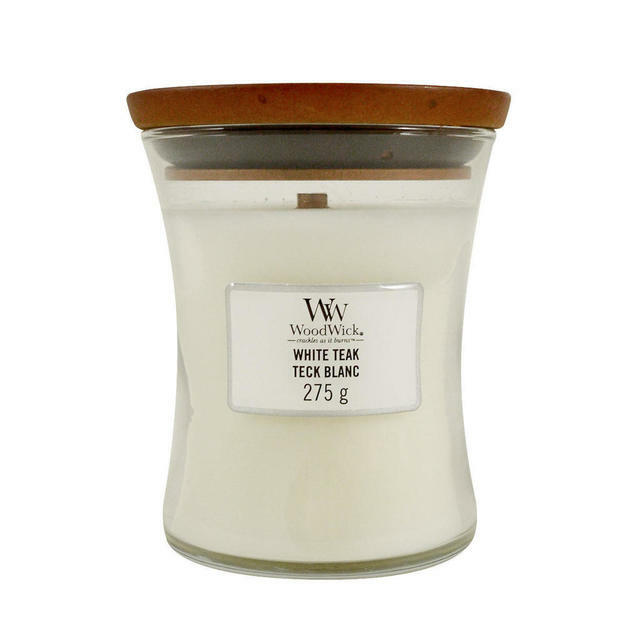 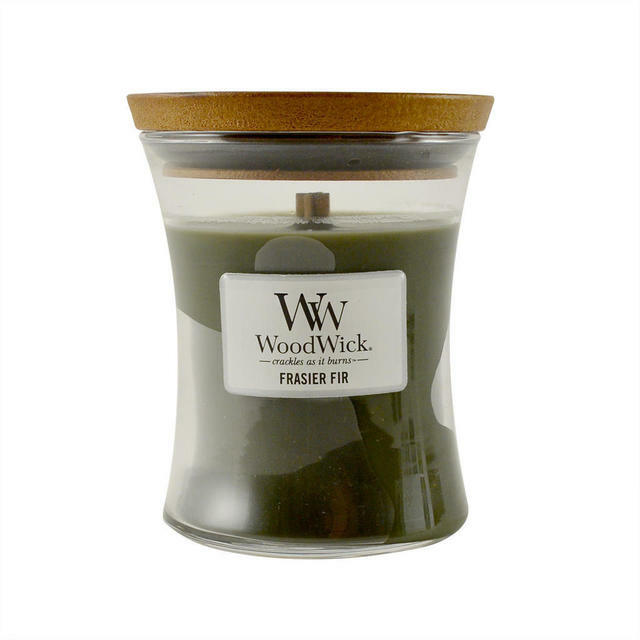 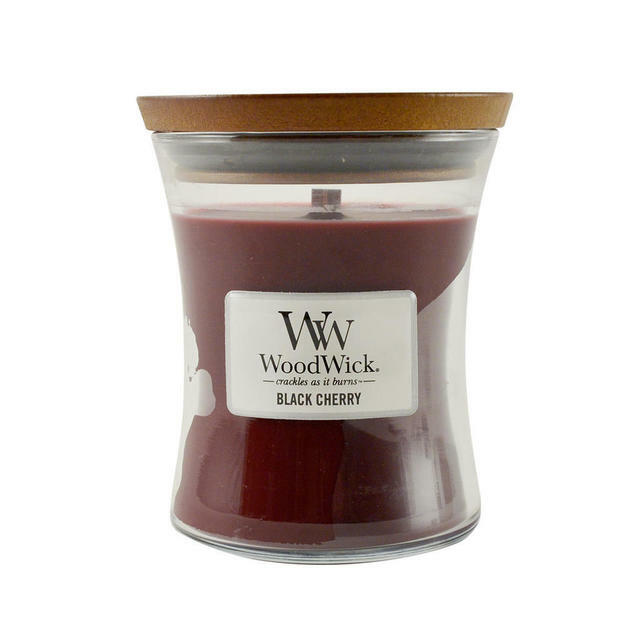 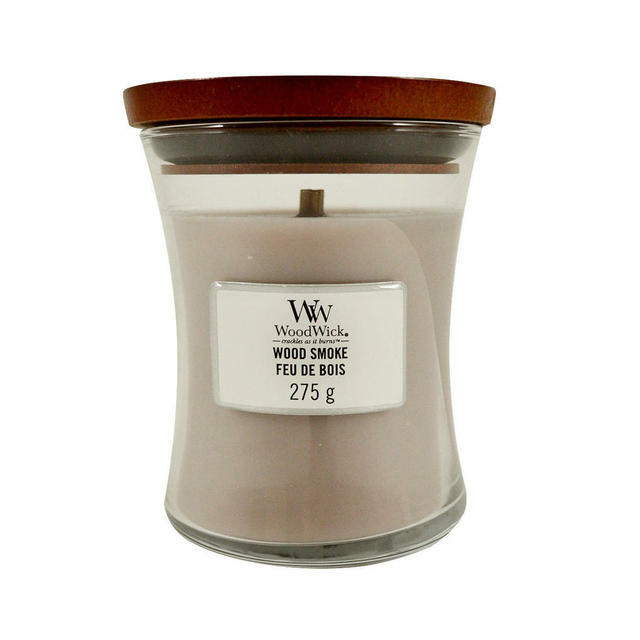 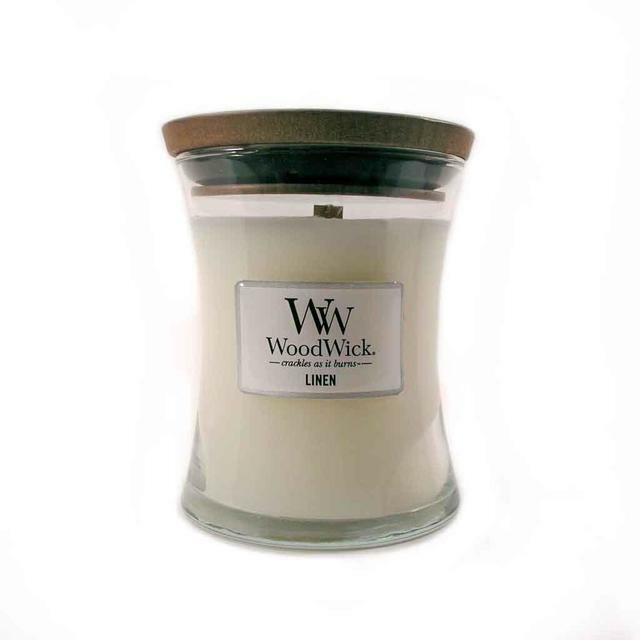 One of our most popular fragranced candles; the fragrances are wonderful, but what really brings these candles to life is the special wooden wick. 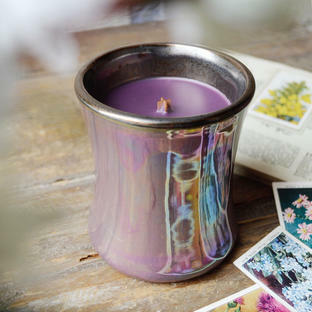 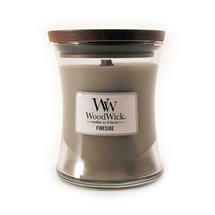 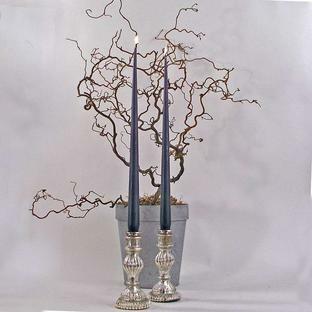 In soft, muted colours, the candles have evocative fragrances of fresh Linen, warm Fireside, and dusky Oudwood. 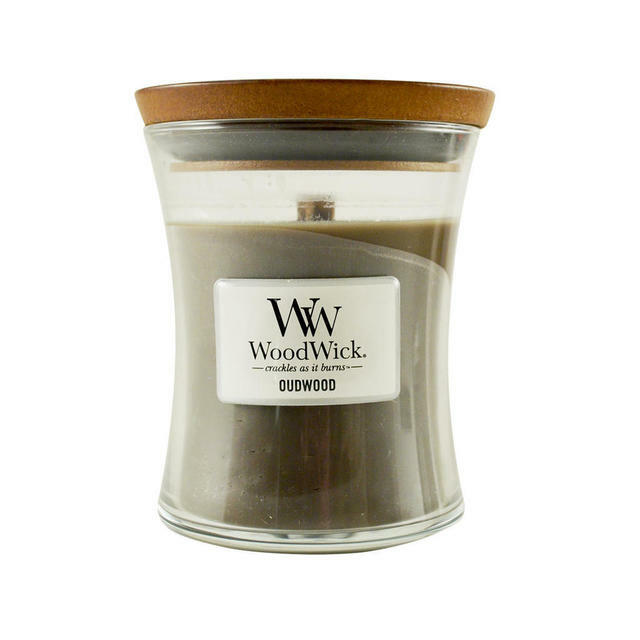 The candles come in beautiful chunky glass jars, with a solid wooden lid to preserve the fragrance when the candle isn't being used. 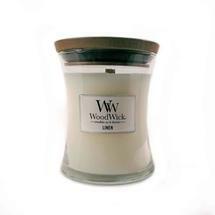 For larger fragranced candles see Hearthwick candles. 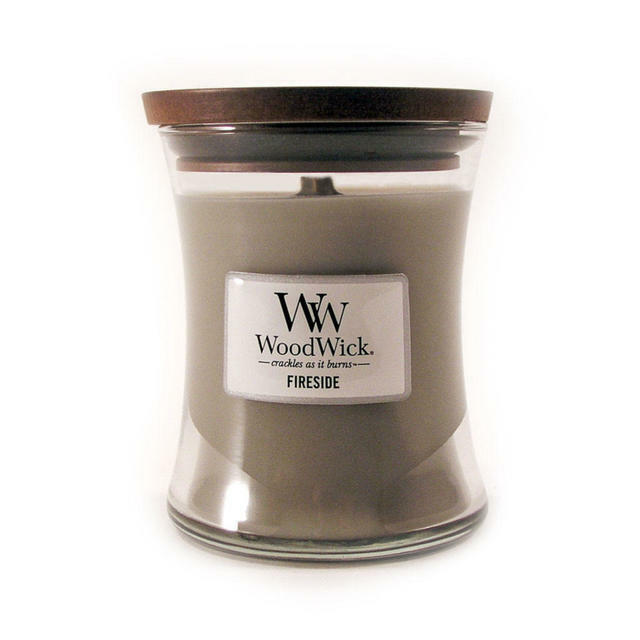 When you light any candle, always allow enough time for the wax to melt, and to reach the full width of the candle itself. With the medium Woodwick candle, this would be approx 2 hours.